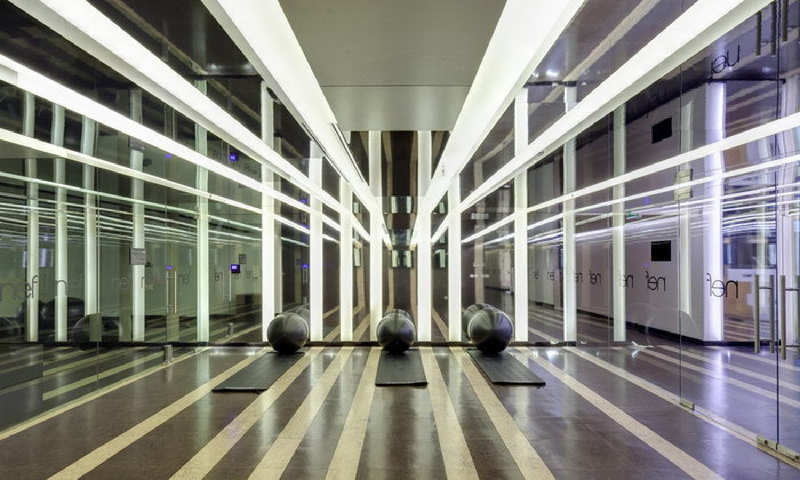 LTL Architects approached this project by considering the important role of bodies within fitness spaces and utilizing the design to maximize the role of sight. 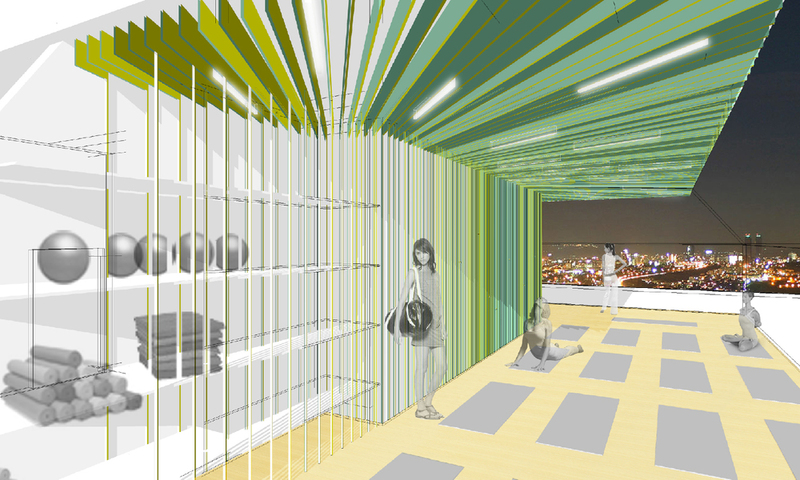 LTL was asked to contribute interior designs to the public fitness spaces of a new residential tower in Istanbul, on one of the lowest and one of the highest spaces in the building. 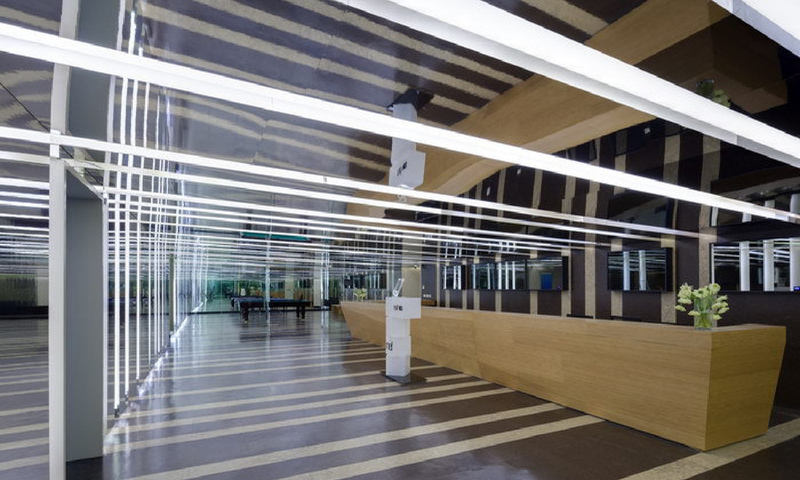 Within the main Fitness Center, interspersing layers of mirror and glass are set against ribbons of wood to animate the space, producing unique lines of view and reflection. The mirror glass becomes a tool for verifying correct posture as well as a device for observing others within the social space of the Fitness Center. LTL created surfaces that wrap the floor, ceiling and wall as a backdrop to frame the surrounding views through the windows. These wrappers are defined by a distinct set of materials and shelves, turning the surfaces into functional components in the fitness areas. Client: Timur Gayrimenkul Yatirim A.S.